STARK COUNTY, OH (WOIO) - A state champion fiddle player is accused of killing his mom and brother before turning the gun on himself. Stark County deputies said they received a hang up 911 call at about 4:30 p.m. Thursday, and went to the Stockdale family home on Dolphin Street SW in Bolivar. When they arrived, they heard a single gun shot, and said they walked into the home to find Jacob Stockdale, 25, with an apparent self inflicted gunshot wound. He was taken to MetroHealth in Cleveland. His family has asked that no information be released about his condition. Deputies found James Stockdale, 21, and Kathryn Stockdale, 54, dead in the home. 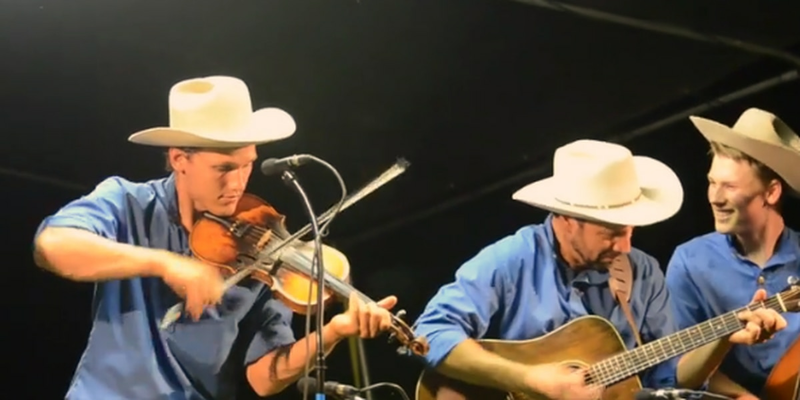 James and Jacob are members of the Stark County-based bluegrass band called the Stockdale Family Band. Jacob was also a state champion fiddle player, and he and his brother had released an album together last year. A neighbor said he knew of the family, and how good their band was, but didn't know them. He heard the shots Thursday afternoon. He said he was confused about what happened. "It was a rapid, you know, boom, boom, boom, boom, boom, boom, then time enough to reload, and another five or six shots so I thought it was target practice," said Harry Mcnutt Jr. He said the family shot guns regularly so he didn't think anything of it. The family was on the ABC reality show "Wife Swap" several years ago. Video shows Kathryn talking about the importance of home schooling her four sons and teaching proper values and work ethic. There is also a family motto listed on the band's website: "It might be a hard life but it's a good life." Kathy has been my beloved wife of 32 years and a wonderful mother to our four sons. She loved nothing more than being a mother and grandmother. She had a strong love of learning and was passionate about her Christian faith, natural health, and organic farming. James, our youngest brother, has always been a catalyst of family fun. Aside from being a gifted musician, James enjoyed dancing and had a innate love of people. James was working on a business degree and hope to go into the business side of entertainment. He leaves behind many friends and a family that love him dearly.